A high quality release that should have a broader appeal. 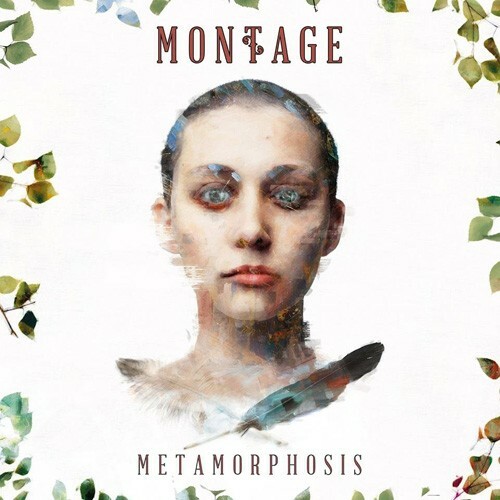 I had the pleasure of reviewing Montage's eponymous debut a couple of years ago and found it to be "an intriguing combination of powerful, dark and heavy riffs softened by Folk and Psychedelic influences". In those days the band described their music as "Progressive Hard Rock". With the release of their second album, 'Metamorphosis', that description has become "Classic Hard Rock with a Progressive edge". A question of semantics? Maybe. But the word order seems significant to me and captures a change of emphasis. Hailing from Helsinki, Montage remain a five-piece but have, between albums, replaced the eerie vulnerability of original vocalist Mikko Heino with the more straightforward Melodic Rock voice of Vesa Paavonen. Whether change of vocalist or evolution of style came first might well be a bit of a chicken and egg question, but undoubtedly 'Metamorphosis' sees the band sacrificing some of the more quirky and Psychedelic aspects of their earlier sound for the assured hooks and melody of their new material. Picks for me are the hard hitting and infectious opener 'The Age of Innocence', and the chilled acoustic closer 'Carved In Stone', but lest anyone think I'm unduly prone to the primacy/recency effect, there's certainly plenty to get your teeth into in between. 'Haunted', 'Reptiles' and 'Nature's Child', for example, reinforce the dominance of the Harder Rocking theme, the latter track in particular featuring impressive keyboard and guitar interplay courtesy of Jukka Parkas and Roni Seppӓnen. The band do show their Prog chops on 'Black Magic' (one of the few tracks that hint at the edginess of their debut) and again on 'Invisible World' (with its shades of modern Deep Purple), but while there are Prog touches throughout, which enrich the band's new melodic template and add depth to the music, they never outstay their welcome. The opening notes of 'Death Valley' say "Don't Fear The Reaper" to these ears (clever, huh? ), but as with much of what's here, the band quickly transcends influences to create a sound that's very much their own. A metamorphosis of sorts then, by name and nature, this is an album that merits attention. If pushed, I probably have a personal preference for the unsettling inventiveness of their debut. That said, 'Metamorphosis' is a high quality release that should have a broader appeal. It certainly deserves to garner airplay and win Montage a larger audience beyond their native Finland.